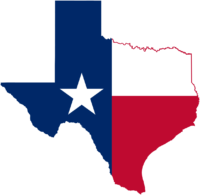 Texas HB 1935, that was passed overwhelmingly by the legislature and signed into law by Governor Greg Abbott, takes effect September 1. The new law eliminates from Texas statute the prohibition against carrying “illegal knives,” including daggers, dirks, stilettos, poniards, swords, spears and most notably, Bowie knives. This allows them to be carried throughout the state with the exception that knives with blades over 5.5 inches are now restricted from carry in a limited number of locations. In order to get the bill passed after the tragic University of Texas Austin fatal stabbing just days before the House vote, an amendment was added to stipulate that knives with blades over 5.5 inches are now defined as “location restricted” knives. These knives may be carried throughout the state except in a narrow list of places such as schools, colleges, courts, correctional facilities, houses of worship, bars that derive more than 51% of their income from alcohol sales, etc. Minors are also restricted as to when they can carry these knives. Download Knife Rights’ LegalBlade™ App which has been updated with the new Texas law. In 2013 Knife Rights’ repeal of Texas’ switchblade ban was enacted. In 2015 we got Knife Law Preemption enacted, removing all local knife ordinances more restrictive than Texas state law. Now in 2017 we have removed all of the “illegal knives” in Texas law, finally allowing Texans the right to carry a Bowie knife, dagger and virtually any other knife. But, we are not yet finished. We will be back in two years to continue to work to make Texas what Texas should be.